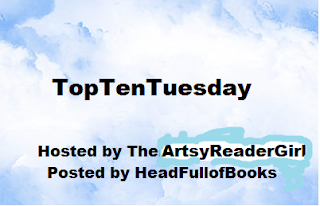 Top Ten Tuesday: My first ten blog reviews. I started blogging in July 2009. At that time I was a high school librarian. My goal was to write short reviews of good books for my students to read. The reviews were so short they hardly count as reviews and I am still not sure if my students ever went to my blog to read them. My very first book review on this blog. 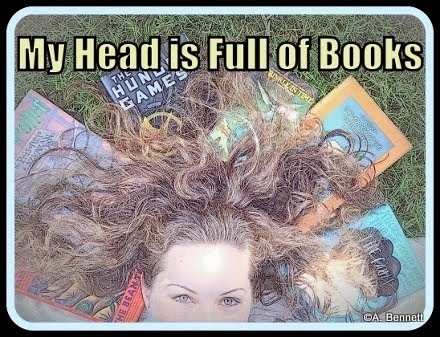 It is such a good book, too. 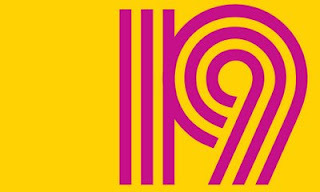 A modern retelling of 1984 where Big Brother ruled. YA. From July 2009. This book made a big impression on me. I listened to it with my husband. He liked it and I was horrified by it. I came to understand the difference between genders and their book choices. Adult. July 2009. I ordered this book for reluctant readers but I don't think any of them ever checked it out. I really grappled with how to write the review since I didn't like the book. YA Nonfiction. July 2009. After Twilight there were many spin-off vampire tails. 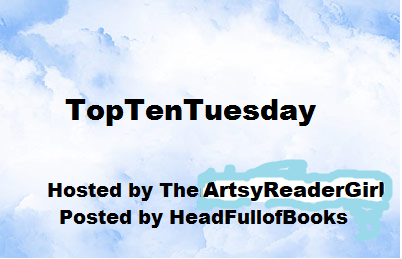 This is one of them and the first book in a multi-book series. YA. July 2009. This is a must-read book about the horrors of war. I have thought about this book many times since I read it and reviewed it in July 2009. Adult. A WWII story set in The Netherlands. I liked this book and learned a lot. YA. July 2009. This was a very popular short little novel which started with a question. "Will you be my boyfriend for five minutes?" YA. July 2009. I love this book set in Washington State and narrated by the dog, Enzo. It is fun to think back ten years ago to what I was reading then. Adult. July 2009. 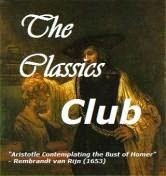 I finally read this classic book and loved it. My review has been viewed hundred of times, too. Classic. August 2009. I really liked the first book in this series, The Great and Terrible Beauty, and enjoyed this second book but I never read the third, final book in the series. YA. August 2009. Prologue--"From her earliest years till her departure, Jeannette [Joan] the Maid was a good girl, chaste, simple, modest, never blaspheming God nor the Saints, fearing God...Often she went with her sister and others to the Church and Hermitage of Bermont." ---Perrin Le Drapier, Churchwarden and bell-ringer of the Parish Church, Trial of Nullification. Summary: This book is written in verse and uses a variety of poetic forms which would have been found during Joan of Arc's day, takes a look at her life not only from the actual transcripts of the two trials: The Trial of Condemnation and, twenty-four years after her death, The Trial of Nullification, but also from a variety of narrators. The Book Beginnings quote is an actual quote from her second trial, made by a churchwarden in her defense. These actual quotes are interspersed throughout the book with poems imagining what Joan might have been thinking at the time. The Friday 56 quote is from one such poem. Here she has already been visited by the angels and the saints and yet she just continues her regular life, wondering what God has in store for her. Other narrators used throughout the book are items or concepts with which she grapples or used. 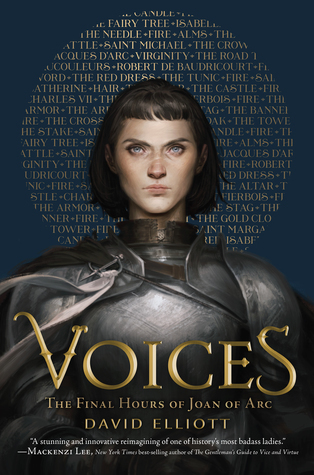 Narrators like her dress that is abandoned for men's clothing, the sword that she uses, the concept of virginity, the road on which she traveled tell their side of her story. I know that sounds strange, but it works. Several of these poems are concrete or shape poems, forming with words into the shape of the object (a crown, needle, crossbow, etc.) Utilizing this very clever poetic device brought the poems forward in my mind. Review: I enjoyed David Elliott's first book, Bull, which was the story of the Greek Minotaur. In that book he also explored poetic forms. I am not a know-it-all about such forms, but I think it is very admirable that he wants to stretch his own knowledge and understanding to even try to tackle such a project using medieval poetic forms here. Elliott's note at the end of the book said until he interspersed actual trial notes into the narrative, the story seemed flat and incomplete. I have not read any other book about Joan of Arc so I do not have a broad knowledge of her role in saving France and her martyrdom. This book makes it seem the biggest problem they had with Joan at her first trial, after which she was put to death by burning, was that she wore men's clothing. Obviously, for my own knowledge, I should do some additional research. I really do recommend that you read it. Elliott, David. Voices: The Final Hours of Joan of Arc. Houghton Mifflin Harcourt, 2019. Print. In my personal quest to read at least two National Book Award winners for each of the past ten years, I am closing in on that goal with only two books to go. Below are two winners in the Young People's Literature category. 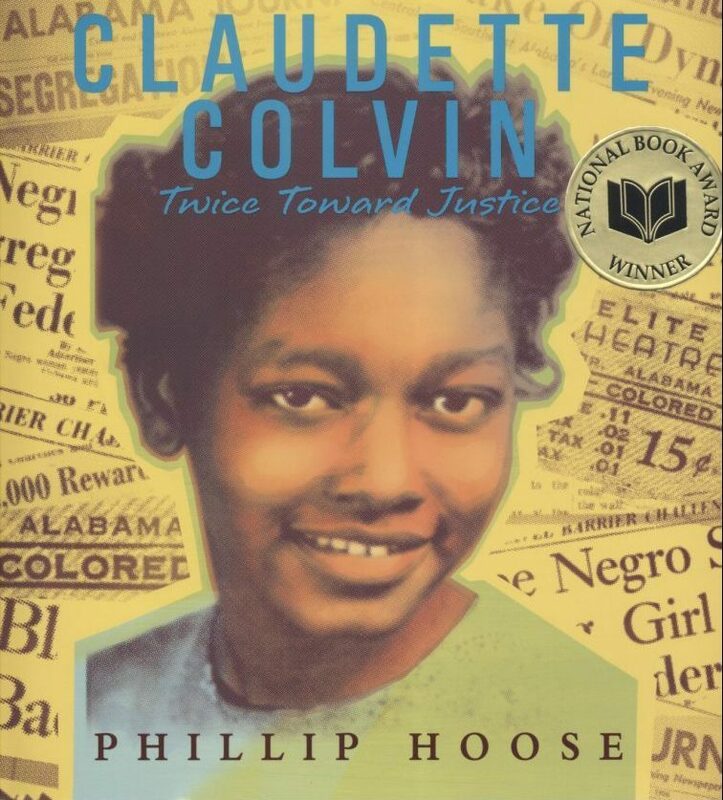 Claudette Colvin: Twice Toward Freedom by Phillip Hoose won the award for best Young People's Literature in 2009. It is a nonfiction account of an unknown hero of the Civil Rights Movement, Claudette Colvin. She refused to give up her seat on a bus and was arrested long before Rosa Parks' more famous arrest for the same thing. In addition, she became one of four plaintiffs in Browder v. Gayle which ruled that Montgomery's bus segregation policies were unconstitutional. Colvin was only fifteen years old when she refused to give up her seat on the bus for a white person. She said in an interview for Newsweek magazine that she felt like "Sojourner Truth was pushing down on one shoulder and Harriet Tubman was pushing on the other." So she stayed glued to her seat. The NAACP briefly thought about using her case to bring a lawsuit about the bus segregation, but decided against it because she was so young and she was pregnant. Little has been written about this hero and her contributions to civil rights, so it delighted me to learn about her from this well-written and highly readable book by Hoose. In addition to this book, Rita Dove, a US Poet Laureate, wrote a poem titled "Claudette Colvin Goes to Work" about this young girl's contributions to civil rights. Her former attorney said that, "Claudette gave us all moral courage. If she had not done what she did, I am not sure that we would have been able to mount support for Mrs. Parks." I love learning new information about contributions made to important historical events. I recommend this book for that reason. The Thing About Luck By Cynthia Kadohata is a middle grade book and the National Book Award winner for Young People's Literature from 2013. I listened to the audiobook read by Joy Osmanski which ended up being a great choice. I'll explain why in a minute. 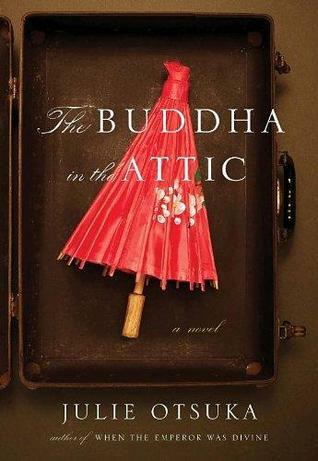 Summer and her Japanese-American family have been experiencing a year of rotten luck. To start with Summer nearly died from malaria after receiving a bite from an airport mosquito in Florida. Next her parents had to return to Japan to care for elderly relatives, leaving Summer and her brother, Jaz, in the care of their grandparents, Obaachan and Jichan. Jaz loses his only friend and becomes invisible to everyone except his family. And Obaachan and Jichan are forced out of retirement to work the harvest season: Jichan to drive a huge combine, and Obaachan to be the camp cook with help from Summer. Age and infirmity has affected both of them leaving Summer to help out more than she ever has had to before. The book is a sweet coming-of-age story about a slice of Americana I've no prior knowledge about---groups of farm helpers who travel around the country to harvest the wheat at just the right time before moving on to the next farm. It is grueling work and one that attracts workers from all over the world. Summer uses a journal to make observations about her summer, and possible young love. She also finds a way to shift the family from bad luck to good luck! As I was reading reviews by other readers on Goodreads so many of the comments were about how boring this book was and how slow the plot with no huge points of excitement or drama. I, on the other hand, delighted in the story and I suspect it is because of the audiobook. Joy Osmanski did a great job reading the parts. The voices she used for Obaachan and Jichan were spot perfect and I found them to be quite humorous. At times as I listened I would laugh out loud. I was very touched by Summer's narration and found the plot interesting and a bit enlightening. I can recommend this book wholeheartedly in this format. Several years ago I was asked by the sophomore English teachers to create sets of novels for their students to read in small groups that dealt with people from different cultures. I was delighted to spearhead such a project and immediately set to work reading and evaluating books for the project. Among the books selected for the regular English classes (there was a completely different set for the Honors students) was a small book called When the Emperor Was Divine by Julie Otsuka. The book tells the story of a Japanese-American mother and her two children as they are sent off to be imprisoned in an internment camp at the beginning of WWII after the Pearl Harbor attack. The book was very short and the writing extremely spare, giving very few descriptions and little dialogue. Because of this the book is almost ghostly or other-worldly. 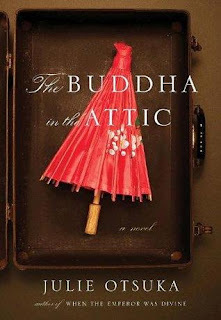 Otsuka's second novel, The Buddha in the Attic, could almost be considered the prequel to her first book because it begins on a ship full of "picture brides" coming to America from Japan after the Great War and the book ends as internment is starting. Each of the brides had her own reason for coming, but all held a photograph of the man who would meet them at the boat and would become their husband. But unlike Otsuka's first book, which is the story of three people, this book is told by a chorus of picture brides, in a collective "we" and "our." On the boat we were mostly virgins. We had long black hair and flat wide feet and we were not very tall...Some of us came from the city, and wore stylish city clothes, but many more of us came from the country and on the boat we wore the same old kimonos we'd been wearing for years...Some of us came from the mountains, and had never before seen the sea, except in pictures, and some of us were the daughters of fishermen who had been around the sea all our lives...On the boat the first thing we did...was compare photographs of our husbands (1). At first I thought the this very odd. No one had names, at least not in the beginning, and everyone was speaking. But after a time of the cadence of the prose seemed to break through and I felt like I was reading poetry. As the collective story unfolds we find women who are forced to work back-breaking jobs on farms, as maids and laundry workers, even as prostitutes. Most are unappreciated by their husbands and reviled by white Americans. Through the chorus of voices we hear the same story over and over as these women attempt to maneuver through the maze of life as an immigrant. And for most the picture isn't pretty. When the second generation is born, referred to as "they", the children revile their mothers for their old ways and for their poor English-speaking skills. Yet, the women still keep their few treasures from home---a white kimono for the wedding, a picture of a past lover, a small Buddha statue. When news reaches their ears that a list is being compiled of Japanese farmers as traitors of the USA after Pearl Harbor, the women wonder why they kept these treasures and attempt to destroy them before they are discovered. This small book, really a novella at 129 pages, made a big impression on me. When the chorus of women speak up it is easy to see the travails of a people just trying to make something of their lives. It is horrifying to think how immigrants to the US are treated, not just in those days but also today. The country vowed to never do something as horrifying as internment of a people again after WWII. Yet here we are in 2019, creating camps and detention centers for people attempting to seek refuge in our land. Ugh. I read this book to satisfy two reading challenges: 1. 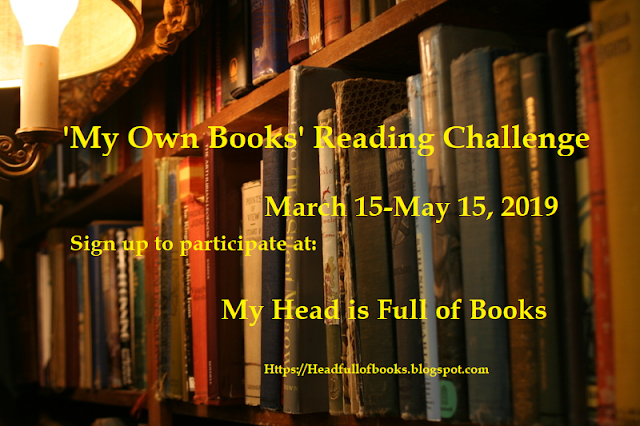 My Own Books challenge and 2. A Personal National Book Award challenge. 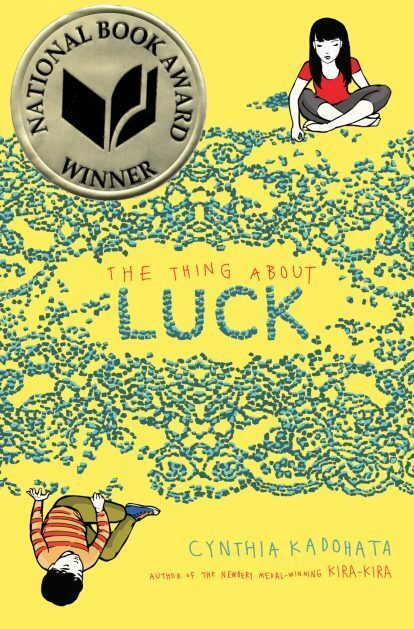 In addition to being a National Book Award finalist for fiction in 2011, it won the Pen/Faulkner Award, and was chosen as the best book of the year by the Boston Globe. I will give this book away but I haven't decided who will receive it, yet. I think it is an important book and recommend it.